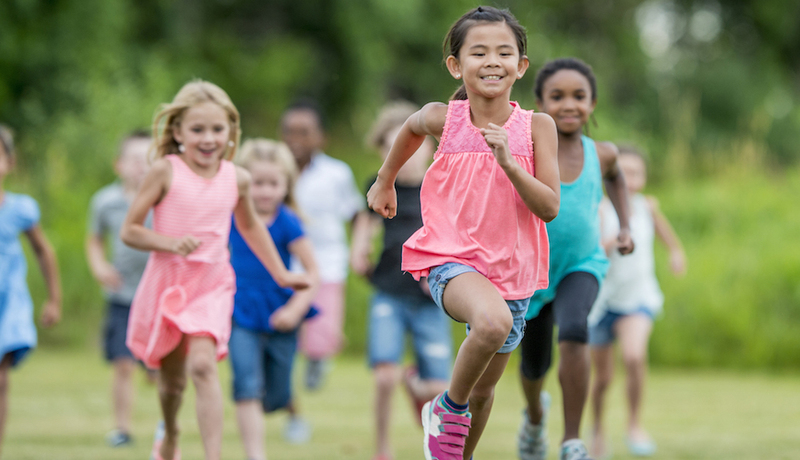 Sunnier skies and warmer temperatures mean kids can finally spend more time running, jumping, climbing, and skating outside before the sun sets. But while those longer days usher in more time spent on the playground, they can also bring more bumps and bruises along with them. It’s no wonder the week after the first warm weekend in spring is the busiest time of year for physicians like Dr. Michael Wolf, who specializes in pediatric sports medicine at St. Christopher’s Hospital for Children. “In the summer, our Orthopedics team will see at least a fracture a day from monkey bars,” he says. And his team is not alone—each year more than 200,000 children are injured on America’s playgrounds, according to research from the National Program for Playground Safety. Add that to the number of young athletes who come into the waiting room with arm, shoulder or elbow pain once spring sports start and you have one busy doctor’s office. That’s why we caught up with Dr. Wolf for his advice on best practices to keep active kids going full speed all spring (and summer) long. Where are children more prone to an injury on the playground? When the weather is nice and kids are playing, the most common areas injuries come from are trampolines and playground equipment, especially monkey bars. For younger kids, it’s the slides. Preschool-age kids can often get their foot stuck on the slide and break a bone in their foot or leg. What is the first step a parent should take when their child says they feel muscle or joint pain? A reasonable first step is to ice the affected area to reduce pain and swelling. It’s also okay to give your child the appropriate dose of ibuprofen. The most important thing, though, is rest! If they’re still experiencing pain after few days, or your child is visibly in pain while trying to ‘push through the injury’ it’s best to see a doctor to ensure their condition doesn’t worsen. How can parents prevent sports, or playground-related injuries this spring and summer? If your child is an athlete that has a significant amount of time off in their offseason from winter to spring, it’s important that they don’t return to their previous level of exertion right away, especially if they’re transitioning from middle school into high school sports where the practices are a little more demanding. Not only is there a huge difference in the practices, but there is also a big difference in their body as well. When they are in middle school they might be able to handle jumping right into play, but for kids in high school, they’re almost full grown, and they need to warm up, stretch, and cool down to prevent injuries. Another top priority: If they’re on wheels make sure they wear a helmet! I see so many kids, of all ages, come into my office during the spring after falling off a bike or skateboard. It’s so important to protect their head from injury. Whether an injury happens on the playground or the field, weekend or weekday, don’t stress, St. Christopher’s Hospital for Children expert team is ready to help. For more information, visit stchristophershospital.com.